Add butter and flour to a medium pot over medium heat. Let the butter melt and whisk the flour into the butter. Let it cook for 3-4 minutes until mixture turns a light tan color and smells a bit nutty. Slowly start drizzling warm milk into the flour mixture, whisking constantly. Add the milk in a constant stream to avoid lumping. Start with 2-1/2 cups of milk and, depending on thickness, add the other 1/2 later if needed. 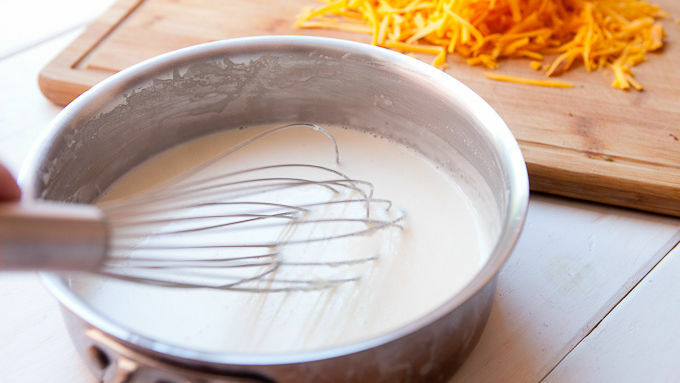 Let the mixture heat as you whisk, thickening over a few minutes. 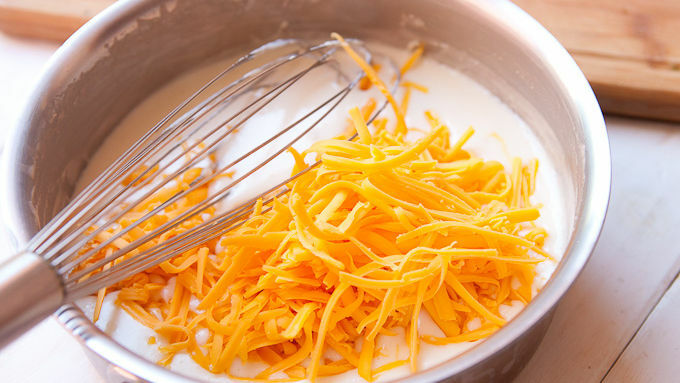 Once the sauce is the consistency of a light gravy, add the grated cheddar cheese and whisk it into the sauce so it melts evenly. Use the warm cheese sauce with pasta, or put it in a dish and serve with bread cubes or chips as a queso dip! You can never go wrong with a good cheddar cheese for a cheese sauce, but try out other cheeses as well. Something like Gruyere goes really well in a macaroni and cheese, while something like Monterey Jack is classic for a Tex-Mex queso. Whether you want to dial up your mac and cheese or make an easy hot cheese dip for the party, here's how it's done. 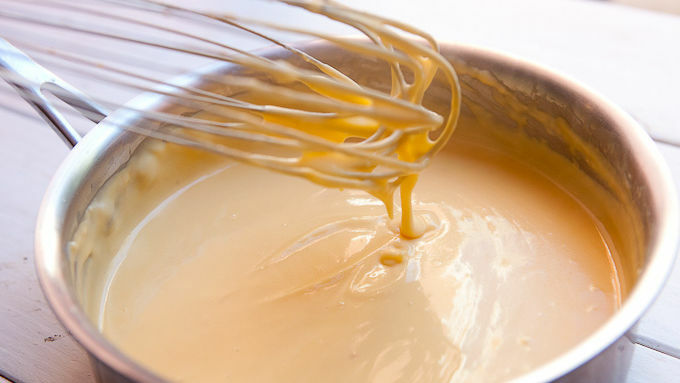 If there’s a simple technique that every home cook should master, it’s probably making a really good cheese sauce. Just think of the possibilities! 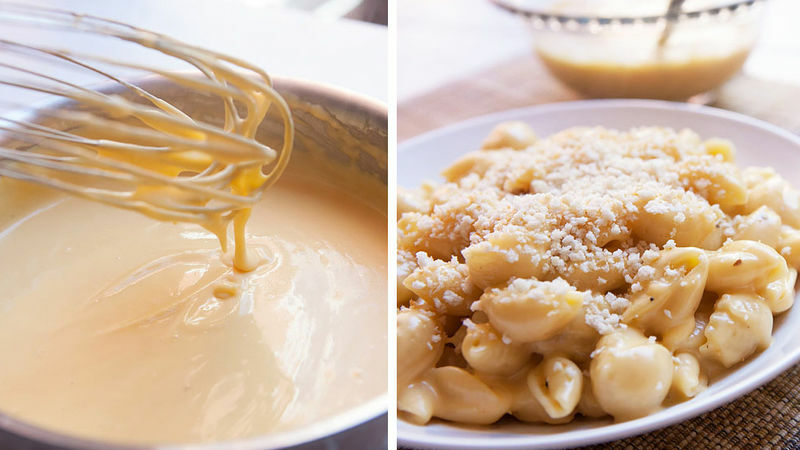 Macaroni and cheese, Tex-Mex queso, casseroles ... all of them become very possible once you master how to make cheese sauce. Luckily, it’s not so hard. It just requires a few basic ingredients: Butter, flour, milk and cheese, of course! 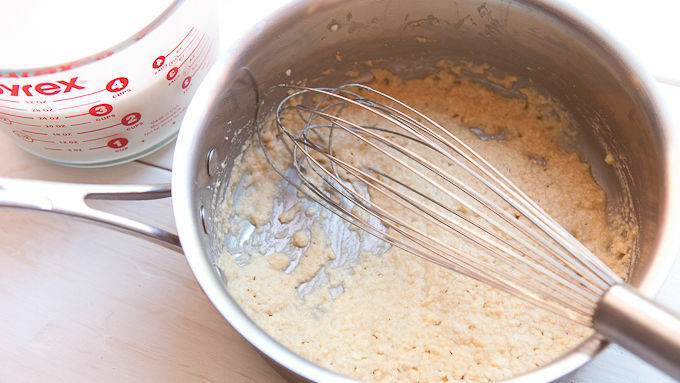 It's important to start the sauce by making a roux, which is a fancy word for a butter and flour paste. Be sure to keep a close eye on this as it can burn, but you want it to turn a light tan color and it will smell really nutty when it’s at the right point. When whisking in the milk you need to do it slowly. This is the part that scares some people. If you add the milk too fast, you’ll end up with lumps in your sauce. But it’s more forgiving than you would think. Start by warming your milk just a bit – that helps. And then don’t dump the milk in all at once. Whisking it in as a slow stream is the way to go. Start by adding about 2 to 2 1/2 cups of the milk and see what the sauce is like. You might need another 1/2 cup of milk if the sauce is super thick, but start with a smaller amount of milk. When the sauce is done, it will be thick like the consistency of gravy. Many recipes will use the sauce just like this (scalloped potatoes, for example). You can use this sauce with SO many recipes but feel free to change up the cheese. Almost any cheese that melts well will work great in this sauce. 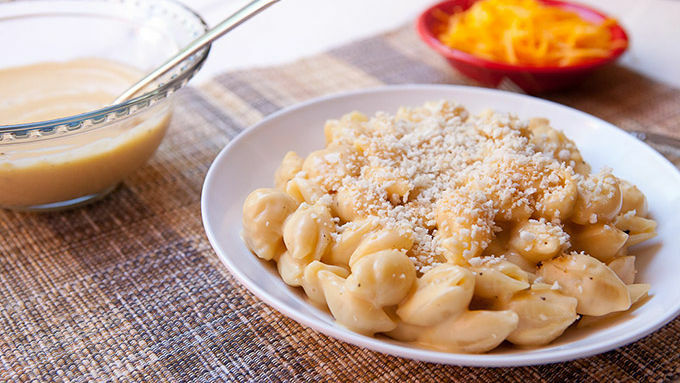 To make delicious homemade mac and cheese, just cook up some pasta, then add the cheese sauce. Go forth and slather things in cheese!